In September 2017, the Royal College of Art, (RCA) opened a campus in White City, just a stone’s throw from the regenerated BBC headquarters. Housing more than 500 students and staff from the College’s School of Communications and School of Arts and Humanities, the site is equipped with state of the art bespoke studios, workshops and technical spaces. Locating next to so many creative industries means there will be further opportunities for interdisciplinary practice for the RCA. There is also scope for the local community to get enjoy student exhibitions, live projects and collaborations. 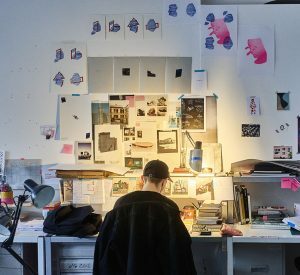 The RCA is an entirely postgraduate university and was recently announced number one in the world for Art and Design in the QS World University Rankings for the fourth year running. Founded in 1837 and given its Royal Charter in 1952, the RCA has many illustrious alumni including designer James Dyson, artists David Hockney and Tracey Emin, fashion designer Orla Kiely and film director Ridley Scott.